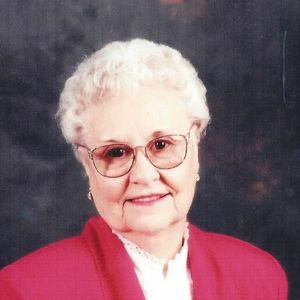 CENTRAL CITY- Nell Capps, 92, of Central City died July 20, 2018 at Owensboro Health Muhlenberg Community Hospital in Greenville. Ms. Capps was born on July 4, 1926 in Muhlenberg County. She was a homemaker and attended South Carrollton Missionary Baptist Church and Church Street General Baptist. Ms. Capps is preceded in death by her husband, Luie Capps. Survivors include her sons, Norman Capps of Central City, Tony (Sue) Capps of Sacramento, Doug (Brenda) Capps of Bremen, Timothy Capps of Carmi IL, Wade (Mary) Capps of Central City; daughters, Wanda (Lin) Lee of Sacramento, Barbara (Larry) Davis of Mt. Vernon IN; grandchildren, Jeff Lee, Charlotte Powers, Wayne Capps, Dale Capps, Steven Capps, Matt Capps, Josh Capps, Chris Brasher, Kevin Brasher, Debra Greene, Derek Capps, Jonathan Bowles, William Kimmell, Andrew Capps, Brandi Piper, Shanda Capps, Chase Capps; 18 great-grandchildren; 1 great-great grandchild. Funeral services will be held Monday, July 23, 2018 at 1:00 PM at Tucker Funeral Home in Central City with Bro. Danny Greene officiating. Burial will follow in Bethlehem Cemetery in Bremen. Visitation will be held Sunday, July 22, 2018 at 5:00 PM at the funeral home. Online condolences can be made at www.tuckerfuneralhomes.com. The beautiful and interactive Eternal Tribute tells Nell's life story the way it deserves to be told in words, pictures and video. Barb, we are so sorry about the loss of your mother. Barbara ,so very sorry about your mother. My prayers go out to you. Wanda and family, I am so glad for the loss of your Mother. Treasure your memories and they will give you peace and strength during this difficult time. May God bless you with his powerful love . Wanda and family, I am so sorry for the loss of your mother. I know she was a sweet, gentle lady. My thoughts and prayers are with you now and in the days to come.